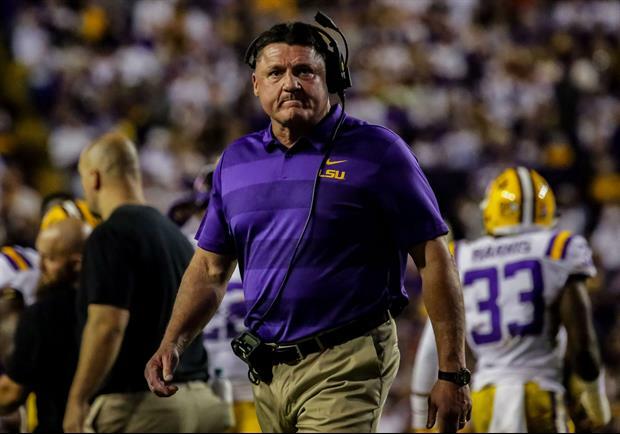 LSU's odds to win the 2019 College Football Playoff National Championship dropped to 1000/1 after last weeks loss to Alabama, according to online sportsbook Bovada. It always cracks me up when they match the article with a pic of O’s mood/face/reaction that matches the content like he was reading it himself. Meant to put an "lol" emoji and it added question marks, but I legit chuckled out loud upon reading your comment. Well done, sir. Odds makers are being very generous today. more like not generous enough. LSU currently sits at #7 in playoff rankings. It's not totally far fetched (although highly unlikely) that 3 teams could lose ahead of them and get LSU to the #4 seed. They would then be rematched against Bama. On second thought, 1000:1 is generous. teams above could lose but teams below can jump. There's no chance of us getting into the playoffs with 2 losses and not being a division winner. Bama knocks Georgia out. Notre Dame needs to lose. Oklahoma-West Virginia and Ohio State-Michigan still play each other. Then would need at least one of those 2 to lose conference championship game. Far fetched, but not impossible.